 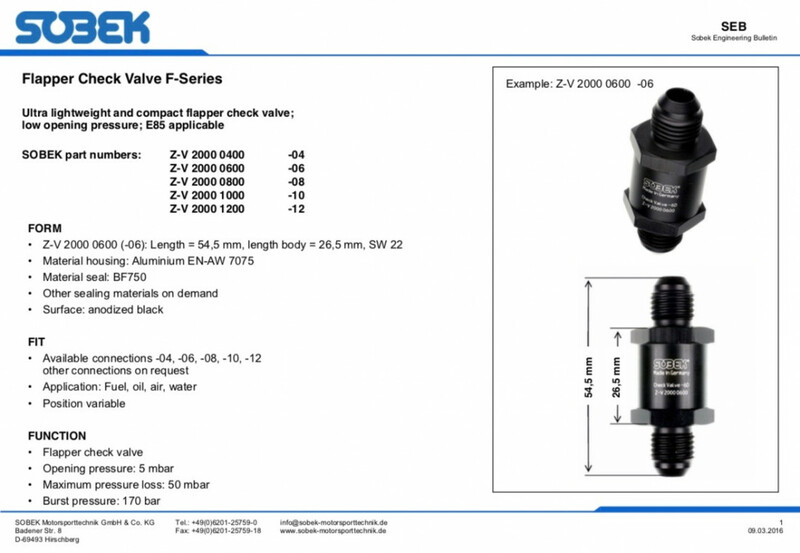 Check Valve for use with fuel, water, oil or air. 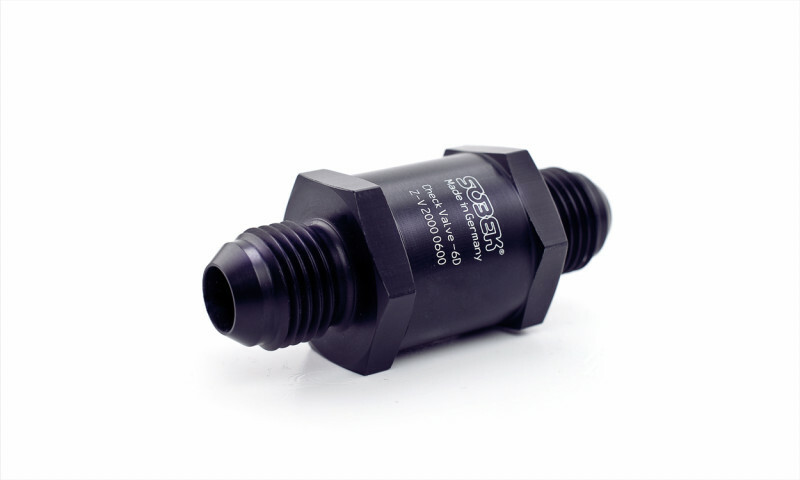 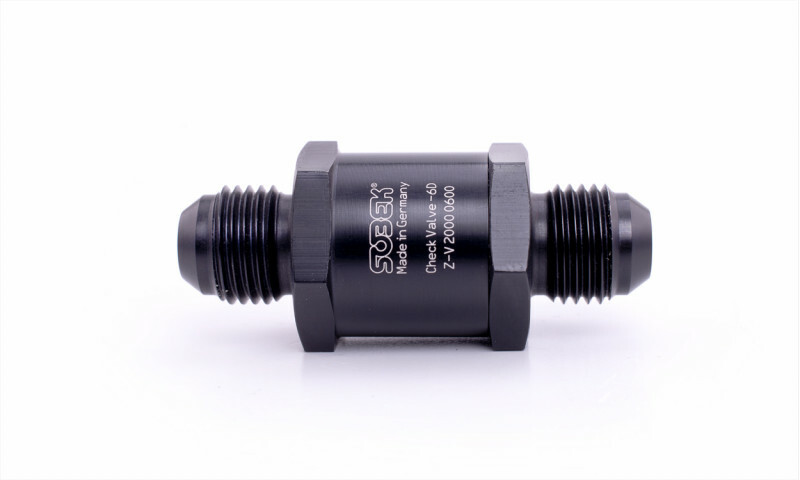 Ultra lightweight and ergonomically designed size and construction, this Check Valve from Sobek's Flapper series can be mounted in any position and used for a multitude of liquids or air. 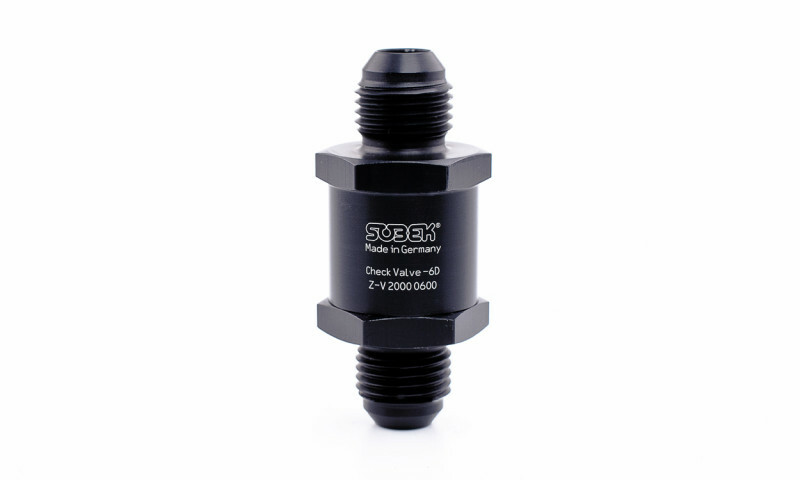 AN-8 connection on both sides.